My motive to plan the trip to Kenya was to click wildlife. As much as I wanted to see the big cats and the flitting deer, I wanted to click them more. I wanted to make up for the poor quality images that I had clicked in Kruger National Park, South Africa. Wildlife was the only thing on the agenda! Not once did I contemplate visiting the beautiful beaches of Mombasa or diving in the ocean at Daini! I may want to do that sometime later… but considering Ankur’s love for beaches, I would rather plan a romantic getaway to cover the Kenyan coast. I did not have too much time for this trip… 3 nights – 4 days is all that I could spare, which was a weekend plus two working days off. I also did not have a high budget to spend on the trip… I had to maximise the little time that I had and visit all the national parks that I could, while ensuring that not too much time is spent travelling from from one park to another. I visited Lake Nakuru National Park, Lake Naivasha National Park and Masai Mara National Park while I was in Kenya. Lake Nakuru National Park is at a distance of ~175 km from Jomo Kenyatta International Airport. It took me little over three hours to get to the park from Nairobi City Centre, including a coffee break. Having left Nairobi at 10:30, I was inside Lake Nakuru National Park by about 2 pm. 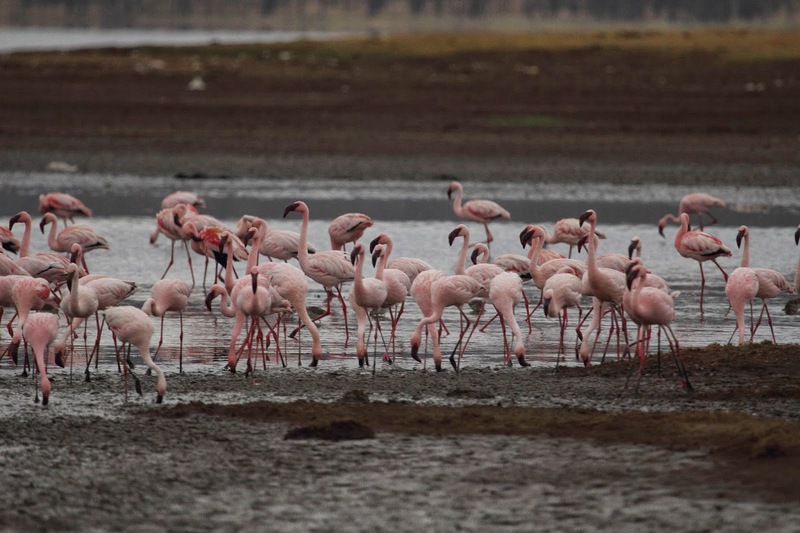 Lake Nakuru is famous for flamingos that feed on the mud flats by the lake. However, not many of us know that it is also a conservatory for rhinos and there are high chances that you will spot the white rhino here. My first safari in Kenya was the evening safari at Lake Nakuru National Park. I started at 4:30 pm and got back by 6:30 pm. It had rained heavily in the afternoon. While it was overcast in the evening, the dust had settled and the weather had cooled. I saw flocks of flamingos eating crustaceans at the lakeside. I was also lucky to see four rhinos grazing. They seemed to be enjoying the moist grass quite a bit…I had to wait for a really long time for one of them to look up and smile for a picture! While there are plenty of hotels outside the national park and in Nakuru town, I wanted to get a feel of being amidst the action. My resting spot for the night was Lake Nakuru Lodge, situated inside the national park, next to a watering hole. ‘Everyone’ had lunch while I was having lunch… the zebras… the cape buffalos… the baboons! And I could watch them enjoy their meal and a drink of water as I munched my salad… just what I wanted! I left Lake Nakuru National Park at 7:30 am the next day. My destination was Lake Naivasha National Park, located at a distance of ~75 km. I reached Lake Naivasha by 9 am. The park is paradise for birds and is home to over 250 species of birds that one can watch up-close. I haven’t been closer to the winged beauties; I am not counting any experiences with pets and in bird parks here. 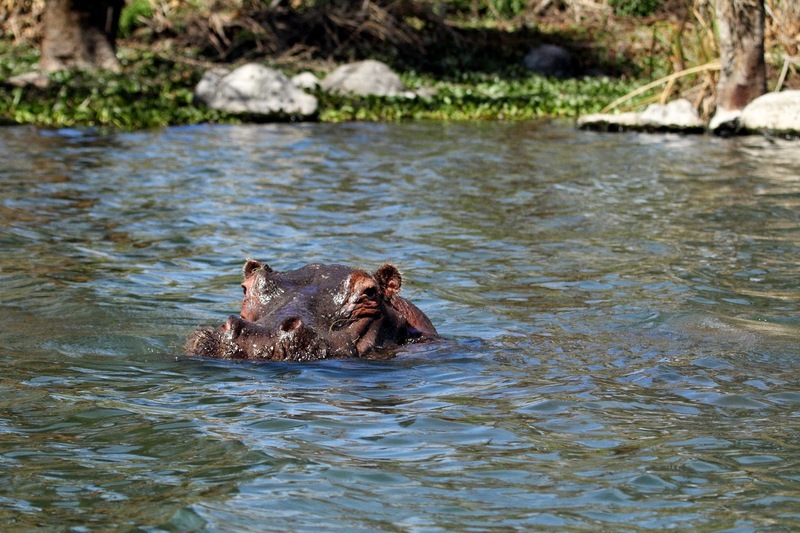 The park is also a perfect place to sight ‘hale and hearty’ hippopotamuses! I spent an hour on a boat in Lake Naivasha. The birds seemed least bothered by human presence once the motor in the boat was silent. They cackled, tweeted and chirped. They flew overhead and glided smoothly! I found it difficult to keep the camera down… there was just so much capture. Watching the African fish eagle swoop down for its catch was the highlight of the boat ride! I also saw a lady hippopotamus and it’s young one sun bathing on the lake side. This lovely lady reminded me of Gloria in the movie Madagascar! Our boat was so close to her that I wanted to say my prayers, especially after reading ‘More humans are killed by hippopotamuses in the world than are killed by sharks!’. Thankfully, I am back …still live and kicking…and blogging! I left Lake Naivasha at about 10:30 am. The next leg of the journey, to Masai Mara, was long and not too comfortable. Masai Mara is at a distance of 250 km from Lake Naivasha National Park. It is a 5 hour drive that has a tar road for the first half and a dirt road for the second half. The dirt road is dusty and bumpy… what else does one expect in the wild? I reached Masai Mara by 3 pm, covered in ‘safari powder’ i.e. brown dust, super excited to see the jungle that everyone raves about! I donned by safari hat and was ready for the evening safari at 4pm. What an evening… watching a lioness watch the Sun go down… watching four giraffes run across the grasslands like bachelors high on the TGIF spirit… figuring our whether zebras are black with white stripes or white with black stripes! My camera, lenses, over 700 pictures and I, we were all back in our lodge by 7 pm. While I wanted to stay in the heart of the jungle, I couldn’t afford to do so. The camps and lodges in Masai Mara reserve were all too expensive. Thus, I chose to stay at the Mara Sopa Lodge, just outside the gate of the park. It was a perfect blend of comfort and convenience. I was a happy traveller with a happy stomach as there was plenty to keep a vegetarian satiated. I spent two comfortable nights at the Mara Sopa Lodge. This was the big day that I had been waiting for – a whole day in the bush! I left at 8 am and was back by 6 pm. I finally saw the Masai Mara grasslands that I had seen on National Geographic and Discovery channels. Miles and miles of golden grass, swayed in the breeze. Herds of gazelles and antelopes, buffalos fighting for supremacy, a honeymooning lion couple, snoozing leopard babies, baby elephants pushing each other into a puddle, crocodiles eyeing their prey… it truly was a jungle out of ‘Madagascar’! Just one paragraph on Masai Mara and a couple of pictures do not do justice to what I saw and I will do a dedicated post on Masai Mara soon! The tribals of the Masai community are an interesting lot. They are true to their age old traditions, are brave enough to fight a lion and value their cattle as wealth. While the modern world can provide them with plenty of comforts, they choose to live the way they have lived for years, like Masai warriors have lived over the past. Overcome by curiosity, I went to see a Masai village for about an hour in the evening. I was fun to watch the ladies dance; their movements were so soft gentle movements. And then danced the men. It was more jumping that dancing! The gentleman who can jump the highest gets to marry a pretty lady, without paying dowry! The trip was coming to an end and my last safari would take me to watch the sunrise over the Mara plains. An early morning safari is the best time to watch the big acts active. I kept my fingers crossed. ‘It might just be the day that I get to watch a game’, thought, though I wasn’t sure if I wanted to see it, even though it’s part of Nature’s game-plan! Nature had something different in store for me; neither did I watch the sunrise (it was cloudy till 8 am), nor did I watch any big cats! I won’t crib and rant about a dull morning safari as one really can’t predict the wild. The safari on the previous day was enough to make the entire trip justifiable! I left Masai Mara at 10 am and reached Nairobi by 5 pm as a happy wild life lover, with thousands of pictures …photo blogs…soon to follow! I loved your post. You got a lot in just 4 Days!! The pictures are amazing, I cant Wait To see your photo blog. I am a new travel blogger, we could follow each other, let me know on my blog and I will immediately follow you back. Can I ask which camera and lenses did you use for your photography? Also, do you post your trip photo albums somewhere? Thanks! We used a Canon 60D. The first two pictures are using a 100-400 canon lens..the rest are using an 18-135 canon lens. We typically post pictures on our blog posts and on our Facebook page. Photo blogs on all three wildlife parks are soon to follow! Great flow of events,your not only a blogger but a great writer we give a thumb up to this post,Going through it one can never get bored at all.Keep it up and thank you for letting others to know they can have a simple trip and have a lot to share. No doubt at all any one can tell how great your trip was,great pictures,we will wait for the safari photos and see the great work you did while on your safari.Keep it up and all the best on your future trips. 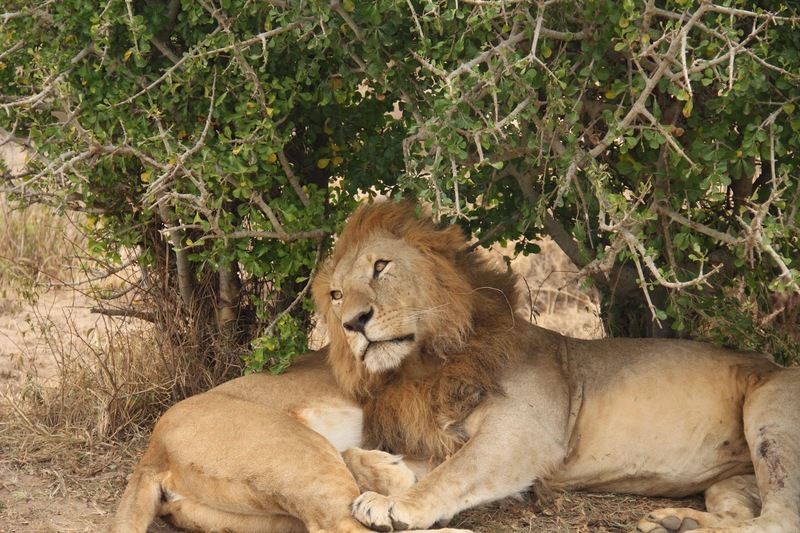 Great Kenya is really blessed with great wild life species,They are always available and one as only to have a great guide who knows where to find them.You are really luck to see all the Big Five within a duration of 4 days. We thank you as your itinerary and flow of events look's really great.Starting with lake Nakuru and finishing with Masai Mara is the great combination and i really recommend it.I love the photography work and i am sure the photos will be really amazing. You seem to have read a lot as once you are scared by the Hippo at Lake Naivasha ,That really shows you have great interest of wild animals,You Too mention Madagascar and compare it with Kenya.We wish you all the best,keep exploring and enjoying the Nature. Ideal itinerary for 4 days' safari in Kenya, juicing every moment, every experience. Absolute Holiday Safaris and Animal made it perfect for us. Thanks again, Sonia. The game drives, photography, the night stays, sunrise and sunset, picnic in the wild, boat safari, and countless birds and animals… so totally loved it. This looks like the trip of my dreams – I would simply die to see all of those animals out and about, although the hippos do frighten me a bit. I hear they can get very aggressive. 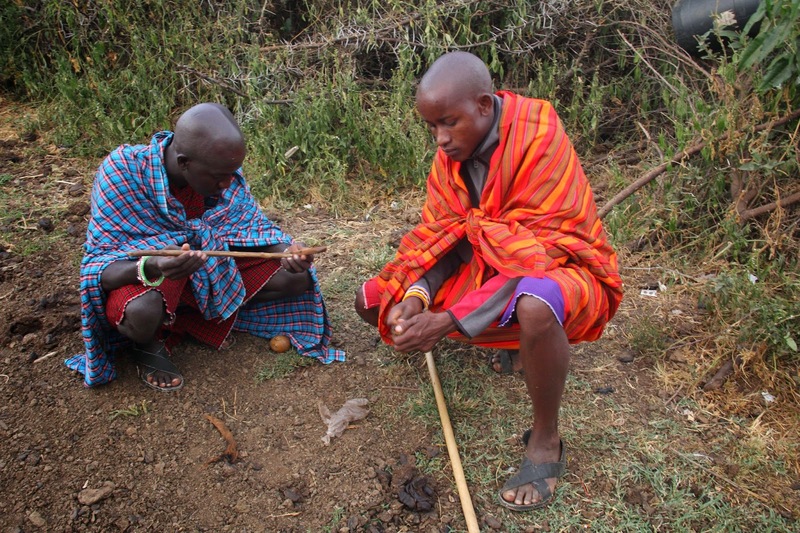 And to top it all off, the visit to the Masai village – I can’t wait to read your post on that! So many cute animals! Rhinos are so underappreciated. The drive through the desert is part of the safari charm. You definitely managed to see a lot of Safari parks in 4 days. I know the feeling when you see so much of wildlife at once. I grew up in Tanzania and I am still excited every single time I visit a safari park. Like you said, it is expensive to stay inside some safari parks. 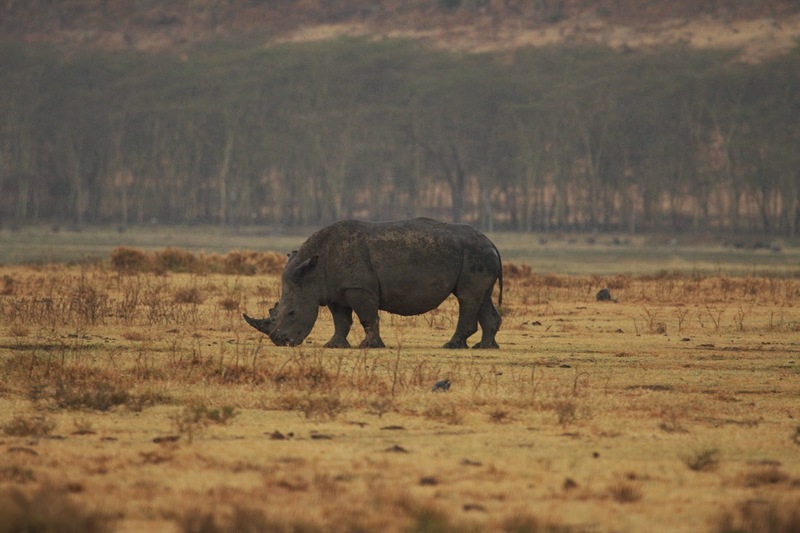 Also I am surprised that you managed to spot white rhinos. They are almost extinct these days. I think I’d go for only wildlife too, I don’t have many wildlife shots in my collection either. Your Rhino shot is amazing with the yellow ground, the colours look amazing. I can imagine when the engine of the boat was turned off that the birds were less put off by your presence, you got great bird shots too. The Masai Mara park looks incredible too, you certainly completed your mission to get great wildlife shots! Love the photos. Kenya is not a place a thought to see so thank your for sharing. It looks like an awesome experience. Oh flamingos! And a hippo! And so many other amazing animals. I loved this post and the great photos. Wish I was in Kenya right now to try get these photos too. Wow you fit a lot into 4 days! I usually take short trips like this too because it’s hard to take much more time off with work. I love your photos of the animals up close – were you actually that close to them or do you have great zoom on your camera? 😀 Looks like an awesome experience, and I hope to experience this for myself one day! What an interesting experience! We always travel with the kids and they would love this exotic adventure and seeing so many cool animals. I have always been afraid of hippos, after reading how dangerous they are, but you are one of the first bloggers to mention it in a post. I think most people think they are slow and not at all dangerous to people. Even knowing more people are killed by them than sharks….I still find sharks scarier. LOL!!! Great photos! I haven’t been to the African continent yet! Going on a safari in Kenya is a lifelong dream for me, I hope I’ll get a chance in future! Awesome that you got to spot so many wildlife in their natural habitat!!! Going to a Masai village would be a great way to understand how the locals live in complete peace with the wildlife there! The Masai villages are so similar to small Indian villages … the similarities did surprise me! What a fabulous post! I enjoyed Lake Nakuru so much for the wide variety of bird life and especially the pink flamingos. My visit to Masai Mara was another great experience. Thanks for taking me back! 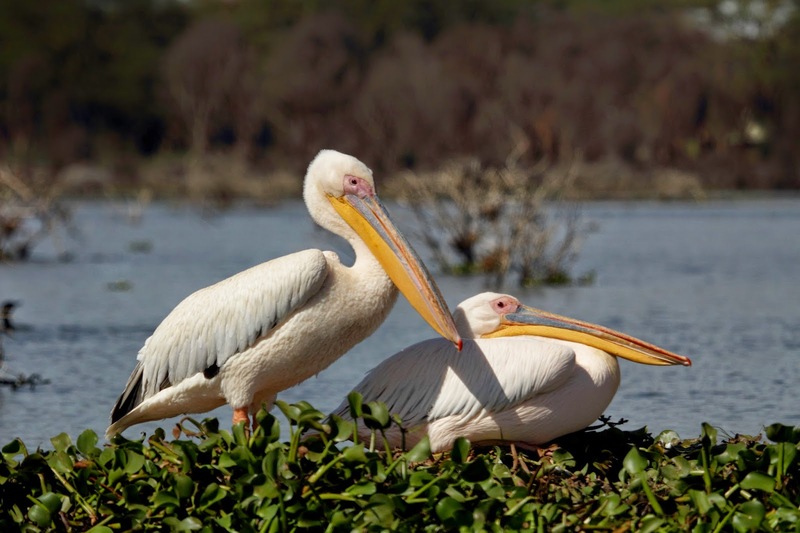 If you love bird life, head to Nakuru … it’s amazing! So beautiful. I always wanted to go to Kenya and stay at the famous (the most Instagrammed) Giraffe lodge but my budget is always too short for that kind of place. Lake Nakuru National Park and the flamingos look so dreamy and beautiful. 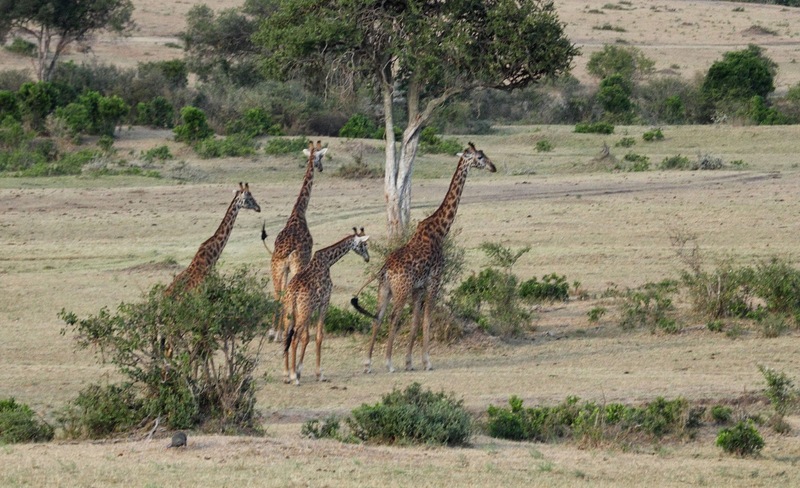 Love the pictures of giraffes and lions in Masai Mara National Park. Is it just me or giraffes are just so adorable haha? It’s so cool you get to stay inside the Nakuru Park itself. What a wonderful experience it must have been! The giraffes are indeed adorable! I hope I can get enough money to go and stay in a place as fancy! This is a wonderful itinerary, if I went to Kenya for 4 days I would be more than happy with just these pictures you showed here! I understand what it’s like to be covered in safari powder, luggage and all! The Hippo photo is amazing, they are the most dangerous animal in the jungle. Safari powder and the smell of the wet mud after it rains … ahhh … all part of the safari experience! I like that you chose to stay in a lodge near a watering hole. I would also like to do the same if I were to go on a safari trip in Africa. I am curious how the animals and indigenous people cope with the influx of tourists in Africa. The local tribals actually look out for the safety of tourists from the wild and from any internal terrorist groups. Also, it isn’t facing mass influx of tourists as yet … still has a few years left before that happens! 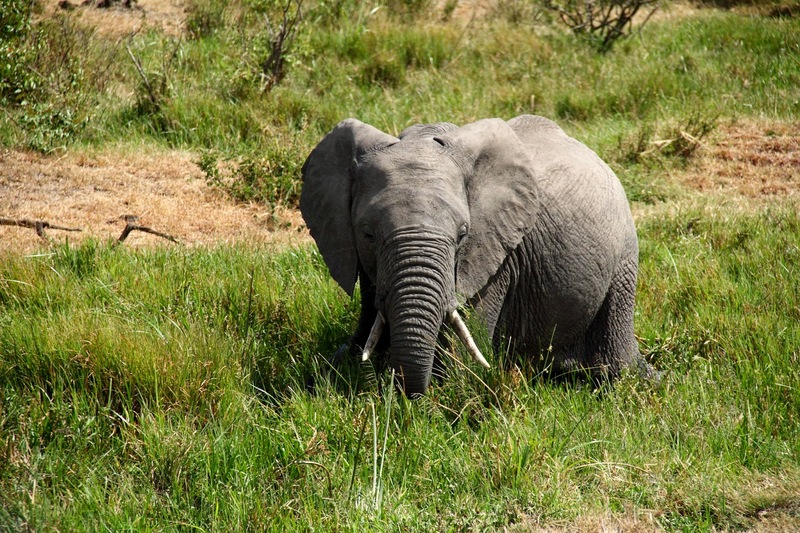 Kenya is one of the countries that fascinates me the most for its wildlife. Your experience looks like straight out of Madagascar! Lucky that you were able to spot these gorgeous people. I have always been unlucky with the safaris! Would love to go to Madagascar someday! Wildlife is fascinating, your captures are awe-inspiring. Watching the wildlife in its natural habitat is a completely different experience, isn’t it? The safari at Masai Mara National Park and Lake Nakaru National Park sounds interesting. You seemed to have covered a lot in short span and made most of it. Four days was a great idea, long weekend plus a day off from work and I could tick this item off my bucketlist! Well, you cannot go to Africa without wildlife viewing and a safari adventure. Lake Nakaru National Park sounds like a great jump-off point for wildlife viewing and exploration. Those flock of flamingos look too adorable – would probably go all day taking photos of the wildlife! The place is a dream come true for all wild life lovers and photographers! Perfect itinerary for anyone who is little short on time in kenya. Lake Nakuru National Park looks so pretty. I would actually spend more time here. It would be best to do all this in a week to explore things well… but four days does a decent job of giving a flavour of all the parks. Wonderful to read your blog and I must say that it’s the best travelogue I have come across for a visit to Kenya( even frommers didn’t describe it so beautifully). As we are planning to visit Kenya early next year I was looking at all possible information out there and since you have already been there I wanted to know as to how did you make the travel arrangement ,was there a specific tour operator you booked with and if not could you recommend the places to stay and the modes of transportation you took. Hey Abhi! Glad you liked the post. Send me an email and I will connect you to the organising company. I had a really good time with them and would highly recommend their services. did you self drive to each location? and can I ask, did you organise to join a safari in each place or was this pre booked? We prebooked a safari. Our vehicle and guide picked us up from the Nairobi airport, took us to the national parks and dropped us back to the airport. The cost included the transport, entrance tickets, safaris and hotel with all meals. We had discussed and agreed on the hotel of our choice in advance. Pretty sure u had a an amazing time.. I’d be glad if you could assist with the travel operator name and details. Wishing you more pleasant memories in all ur future trips.